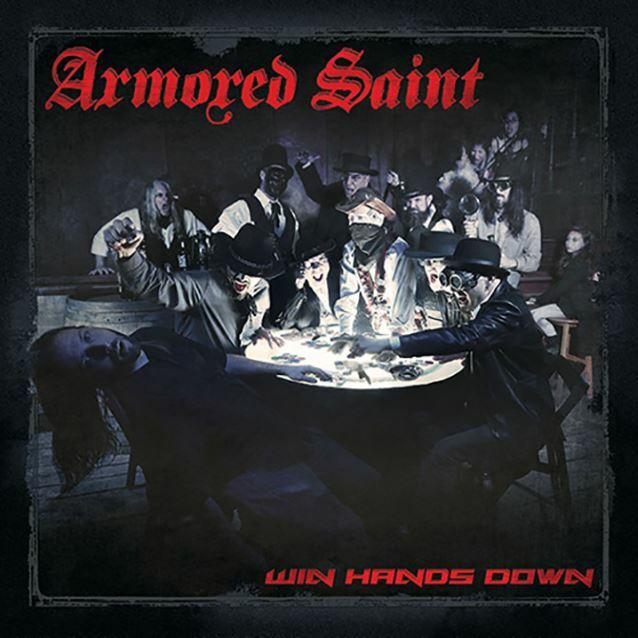 Los Angeles, California metallers ARMORED SAINT will release their seventh studio album on June 2 in North America via Metal Blade. Titled "Win Hands Down", the CD was produced by bassist Joey Vera and mixed by Jay Ruston (ANTHRAX, STEEL PANTHER, STONE SOUR). "Win Hands Down" can now be streamed in its entirety using the SoundCloud widget below. A video for the "Win Hands Down" title track was recently shot by director Andrew Nethery and can be seen below. 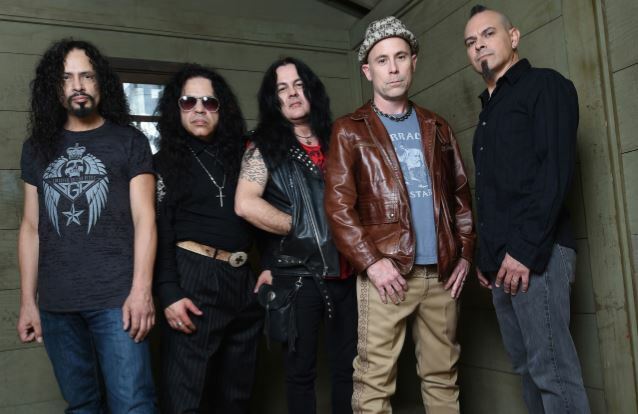 States ARMORED SAINT singer John Bush: "When we began talking about a new record, I told Joey Vera [bass] to pretend we were a really huge band and that we could do anything we wanted. At least that was the mindset we should have, from the writing to the production. What came out was 'Win Hands Down', which is our first record in five years." He continued: "There's everything from classic ARMORED SAINT rocker songs to epic songs and we all dug deep to deliver something special. If we weren't going to, then we shouldn't have bothered. I'm glad we did." Bush added: "In May we are doing some shows in the States with SAXON. It's a great way to get the ball rolling." Stated Vera: "We're very excited about our new record coming out in June! "We've been writing over the past year and half and we feel like we've written some amazing music. We can't wait to share it! "To get our whistle's wet, we're super excited about doing some warm-up gigs before the record release with the legendary SAXON this May! "We're doing a total of six shows between the East Coast, Texas, West Coast and we couldn't think of a better way to start off the summer! See you all soon."